Nach Flow ist nun der zweite Teil von Hannes Mairs Vertrider-Trilogie veröffentlicht worden. Er begleitete das Vertrider-Team bei der teilweise recht exponierten Befahrung eines Dolomitengipfels und kam mit beeindruckenden Aufnahmen zurück. 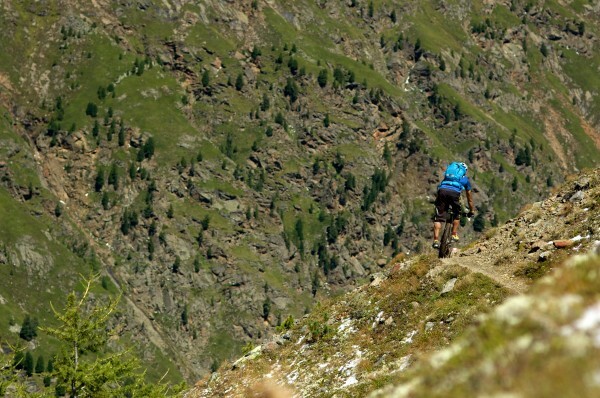 Am 05.05.2013 um 21.15 Uhr zeigt das Bayerische Fernsehen in der Sendung Bergauf-Bergab eine halbstündige Reportage über das Bikebergsteigen. Im Sommer 2012 trafen sich Nicole Beege, Bastian Hagemann, Mathias Marschner und Harald Philipp mit dem Filmteam des BR. 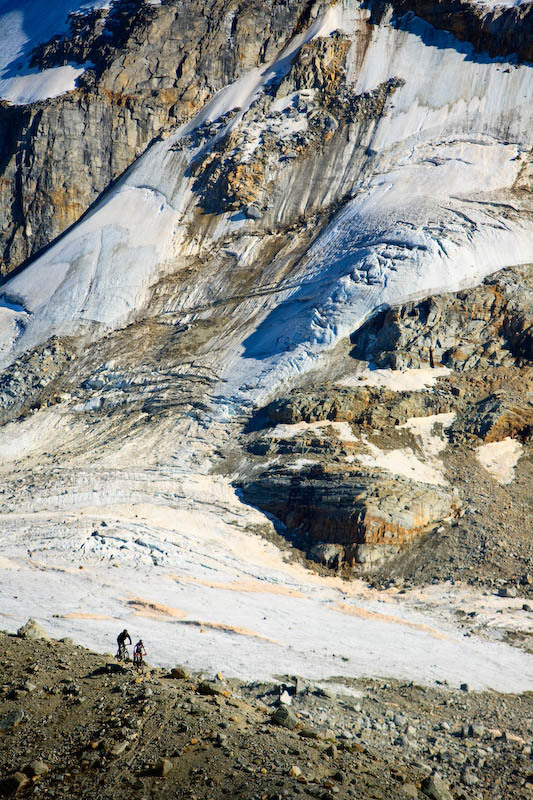 Gemeinsam ging es hinauf in die Fanes Dolomiten und weiter bis zu einem altehrwürdigen „Bivacco“ in einer verlassenen Stellung des Ersten Weltkriegs auf 2.700 m Seehöhe. Von hier aus wollte das interdisziplinäre Team drei der umliegenden Gipfel besteigen und – soweit es ihnen möglich sein sollte – die dort hinabführenden Weltkriegspfade befahren. 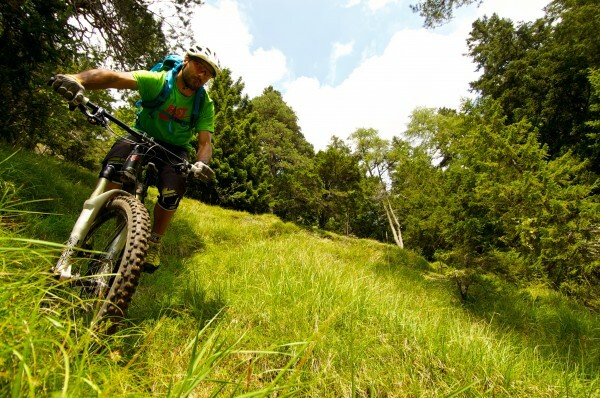 Jeder der Fahrer hatte einen anderen Erfahrungsschatz im Rucksack dabei – ein ausgewiesener „Bikebergsteiger“ trifft hier auf eine Downhillerin und zwei Fahrtechniktrainer und Guides. Die vier werden auf dieser Tour zur Seilschaft und erleben unvergessene Blicke auf die Dolomiten. Die erfahrene Filmcrew zeigt aber auch die Gruppe in ihrer ganz individuellen Auseinandersetzung mit dieser Herausforderung, ihrer Angst, Reflexion und Gruppendynamik. 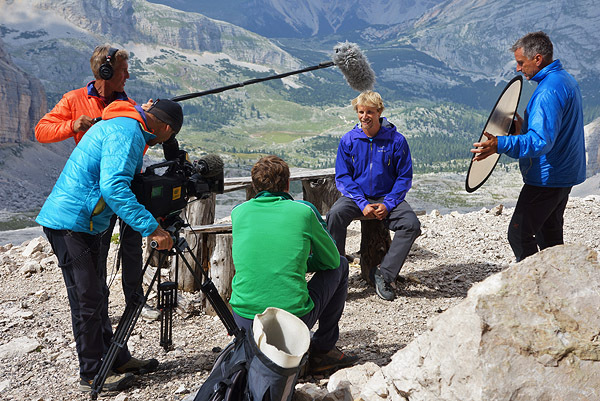 Neben den faszinierenden Aufnahmen ist vor allem der Aspekt interessant, dass dem Thema „Mountainbiken“ die komplette Sendung eines TV-Formats zugestanden wird, dessen Publikum eher aus traditionellen Alpinsportlern besteht. 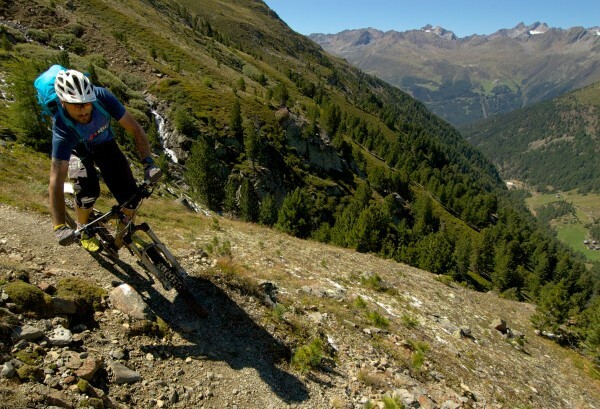 Mountainbiking in dieser Form wird unter Bikern wie Bergsportlern kontrovers diskutiert, und so kann nach dieser Sendung mit einem spannenden Austausch gerechnet werden. Dazu seid Ihr auch herzlich eingeladen diesen Blog-Artikel zu kommentieren. Nur mit Google-Earth-Ausdrucken ausgestattet machten sich Florian Strigel und Lev Yakushko auf zu einem Bikebergsteiger Abenteuer in die Türkei. Zurück kamen sie mit vielen Eindrücken und lauter sehenswerten Bildern, welche auf TrailHunter.de veröffentlich wurden. 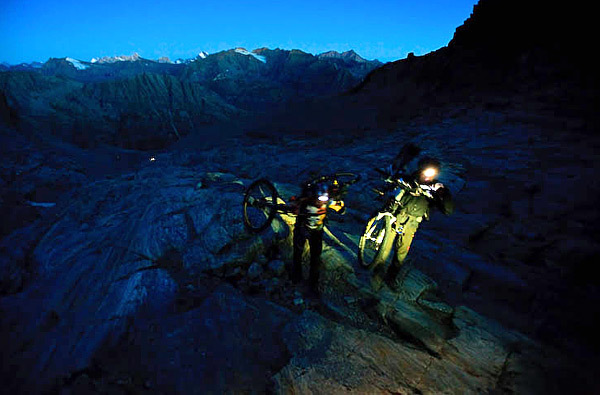 Das vielleicht sehenswerteste alpine Bike-Video der Saison 2012 stammt von Sebastian Doerk. Zusammen mit Trialer Tom Öhler und Harald Philipp begab er sich auf die Spuren einer Erstbefahrung im Steinernen Meer. Neben den beeindruckenden Aufnahmen begeistert sowohl die Verspieltheit des Trialers wie auch die Leichtigkeit des BBS-Rou­ti­ni­ers im anspruchsvollem Karst. 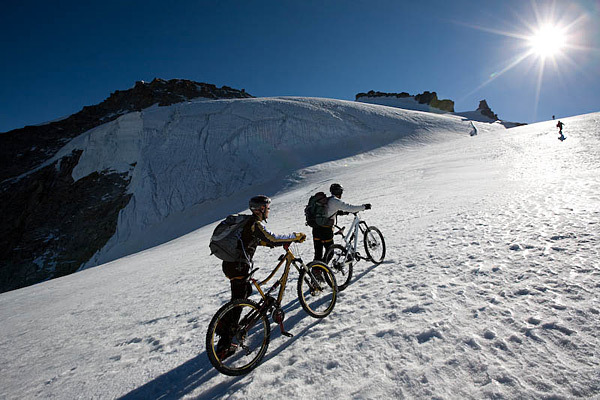 Die Zugspitze (2.962 m) ist natürlich gerade für deutsche Bikebergsteiger ein attraktives Ziel und wurde daher bereits einige Male befahren. Dieses Jahr auch in Begleitung von Filmkameras, wobei es zum zweiten Video auch einen lesenswerten Fahrerbericht Max Schumanns bei der IBC gibt. 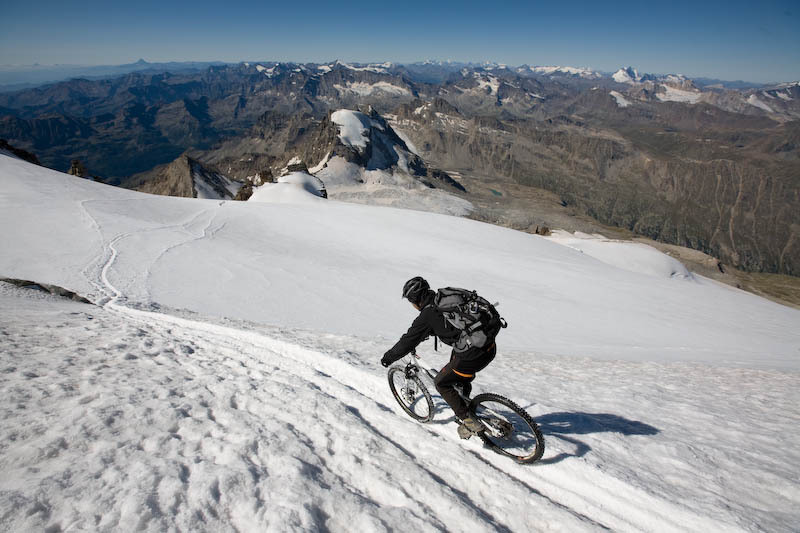 Wie steht es eigentlich um die Bikebergsteiger aus dem nicht deutschsprachigen Alpenraum? Die Zollgrenzen mögen abgebaut sein, doch die Sprachbarrieren bleiben bestehen. Und so wissen wir leider viel zu wenig über die Bikebersteiger-Szenen andernorts. Um so interessanter ist es, wenn doch einmal aktuelle Neuigkeiten von den „Berg-Verrückten“ unserer Nachbarn zu uns durchdringen. Wie z. 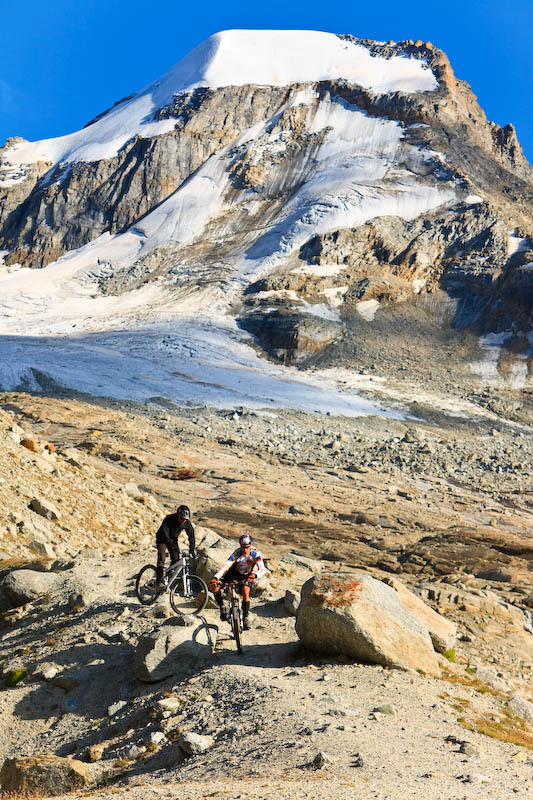 B. von Victor Brumotti, welcher dieses Jahr den Monte Cevedale (3.769 m) erstbefuhr und im Frühjahr nächsten Jahres mit dem Bike den Mount Everest (8.848 m) bezwingen möchte! There are moments in life that will live with you wherever you’ll go, emotions so strong and intense that you cannot describe them simply by words. I’ve always believed that a man is nothing without dreams. They are part of our life and keep us living, they fill our life of different colours and open our views far beyond that horizon we can see everyday through our window. 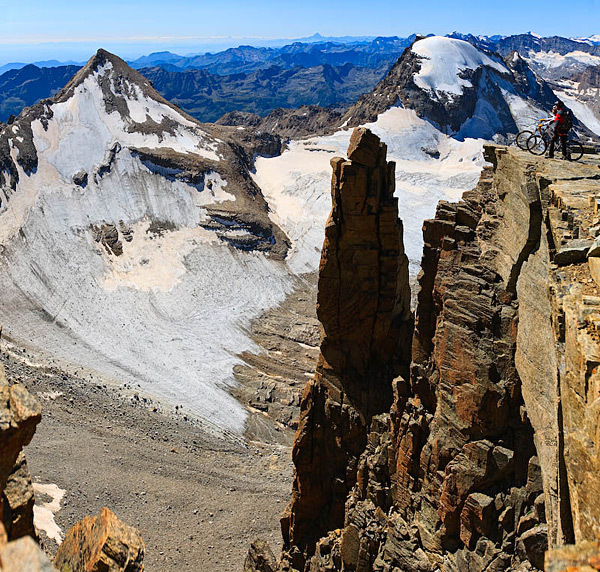 The idea to climb the Gran Paradiso Peak started some years ago while looking at some picture of this beautiful mountain. 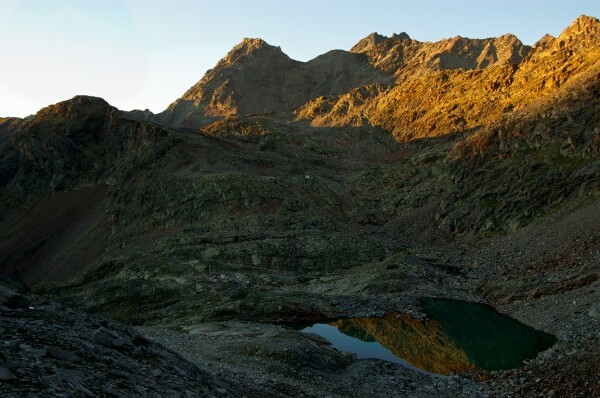 With its 4.061 m height, the Gran Paradiso is the highest peak lying completely inside the Italian State. 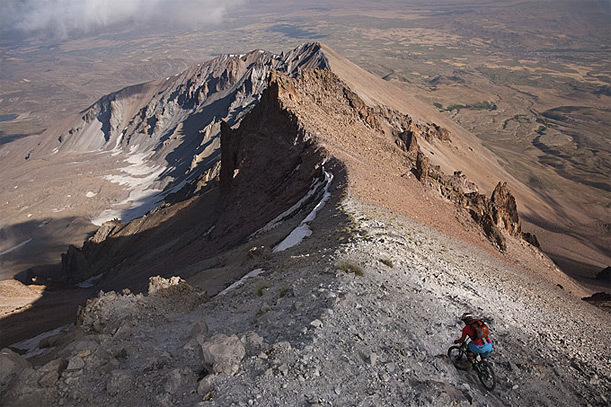 I was attracted by the idea to ride it down from top to bottom, one full ride on the top of my bike. I got the dream, all I had to do was to figure out how to realize it. 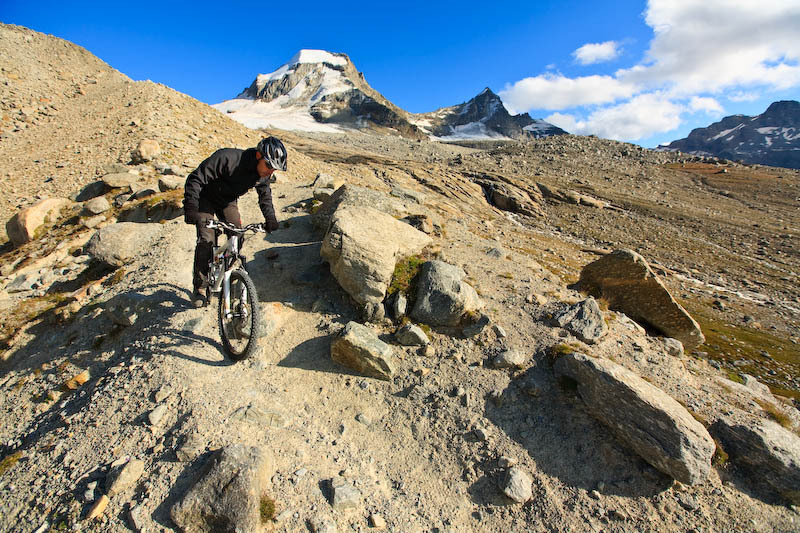 Due to its height I would have had to ride on glacier terrain, then rocky and finally a singletrack on the last part of the descent. I like to call it “mixed terrain”, taking the term directly from the alpine vocabulary. And what about the training? 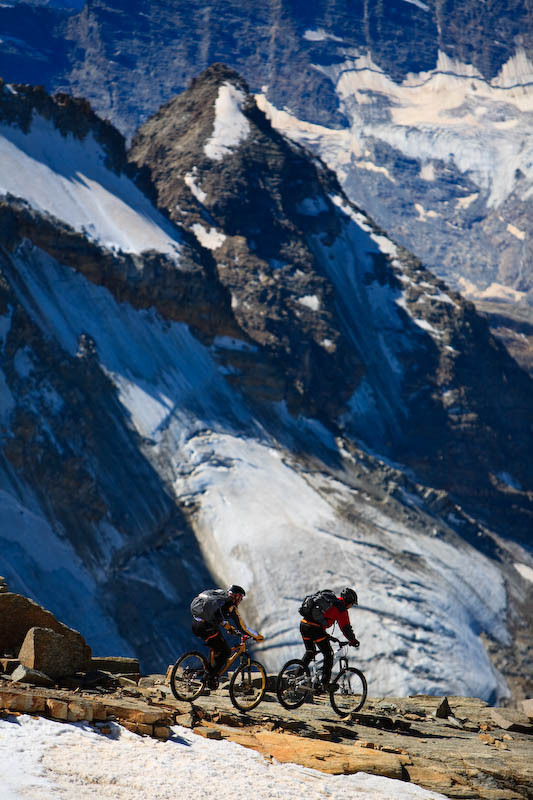 I would have had to carry my bike on my shoulders for many hours to reach the top of the mountain. Not an easy climb this time. I started to organize everything, I asked a friend of mine to join me with this crazy idea. And only among people that share your same passion you can find someone who understands you and my friend’s answer was positive. We decided to fix the date for the 23th of August waiting for a full beautiful day which really came. Sun and warm weather, the best that Mother Nature could have done for us. We started from Pont, a little town that is the starting point for the normal route. We reached the refuge Vittorio Emanuele late in the morning, we had plenty of time. 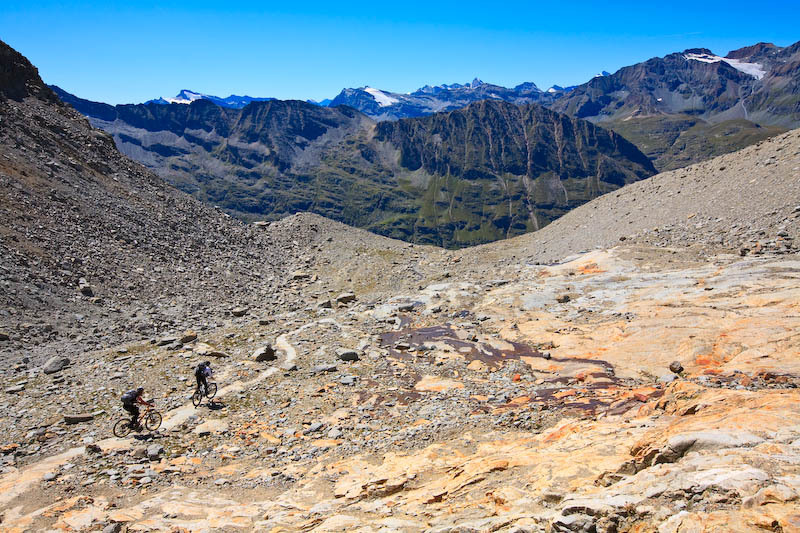 The view of the Ciarforon and Tresenta Peaks were simply amazing. The whole Gran Paradiso National Park is one of the most beautiful places of the world, you cannot stop looking around you. 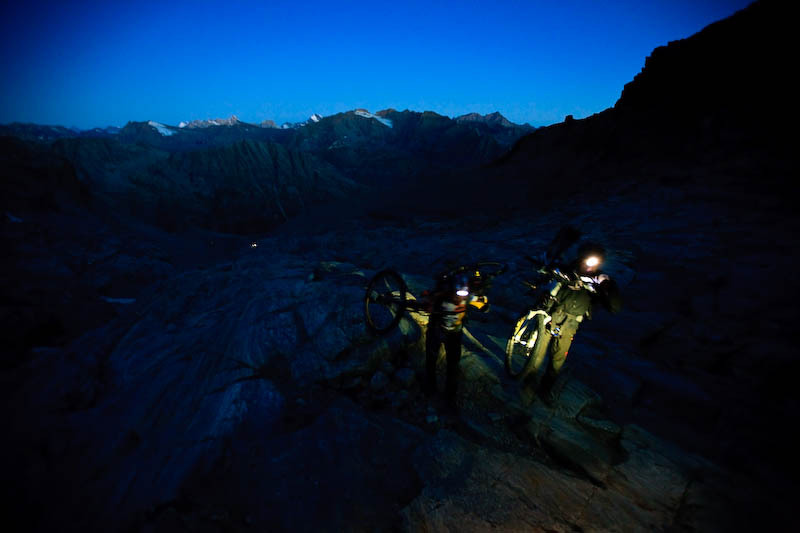 As soon as we reached the hut we took some pictures of the place and we went out for some funny riding around it, finding some singletrack on a sandy terrain that gave us all the energy for the next day. Wake up call at 4 a.m. in the morning…I’d have liked to sleep a bit more but the route is quite long. 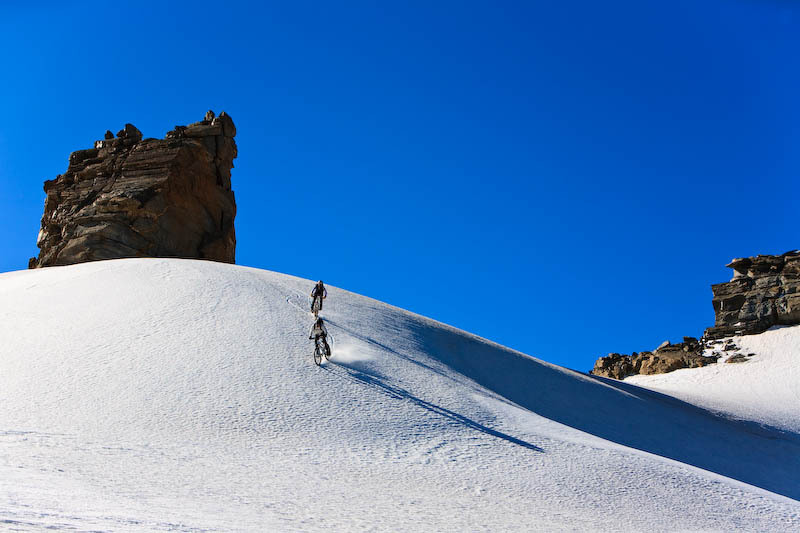 And since it is on a glacier you have to climb the mountain and return before the sun heats the surface, which increases the risk for collapsing snow bridges and makes the descent really dangerous. Our feeling was really good, walking on a Glacier is a unique experience. There is silence all around, you can hear only your crampons on the icy surface and feel your breathing coming more and more deeply, trying to get more oxygen from the thin air. 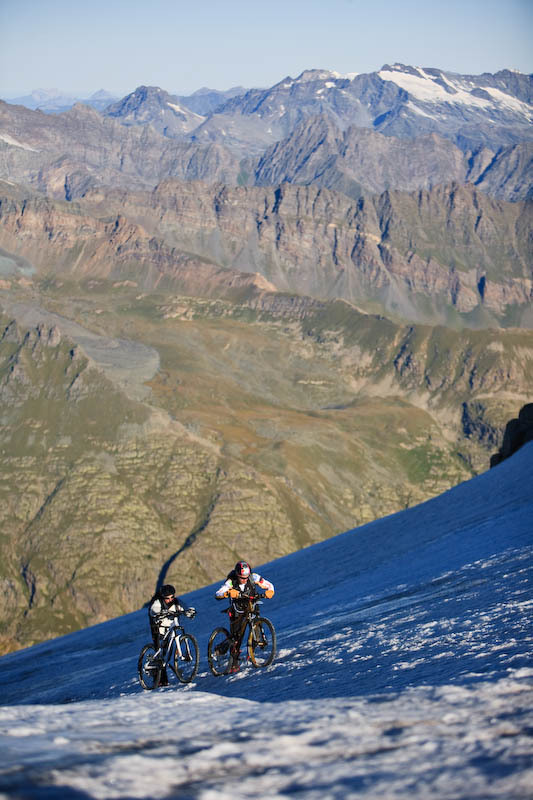 Due to the altitude it’s harder to breath, so you have to care about your speed, saving energy for the top. Also the coldness of the early morning (-10°C) didn’t help us in our movements. But at a certain point the sun came out at the horizon. Its rays reached the mountain, warming the air around. Moments like that are unique in life. We stopped, looking around all the peaks. We saw Monte Bianco, Monte Rosa, Monviso, Barre des Ecroins and many others 4.000 mt peaks. I could have spent my life there but I had a dream to realize, so we started moving to the top. Looking back at the pictures I don’t remember all the moments of the day but sure I remember what I felt once I got to the summit. 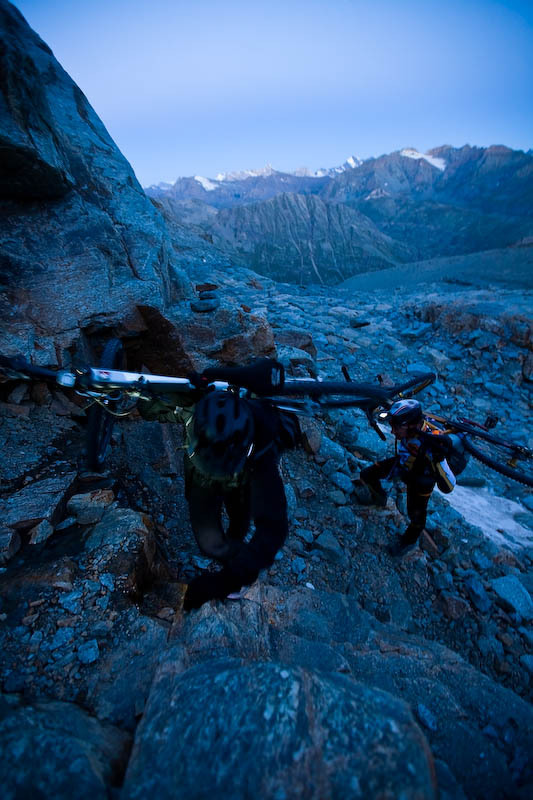 It’s such a strong feeling I cannot describe but I’m sure that everyone who has climbed a peak with his bike can understand it. 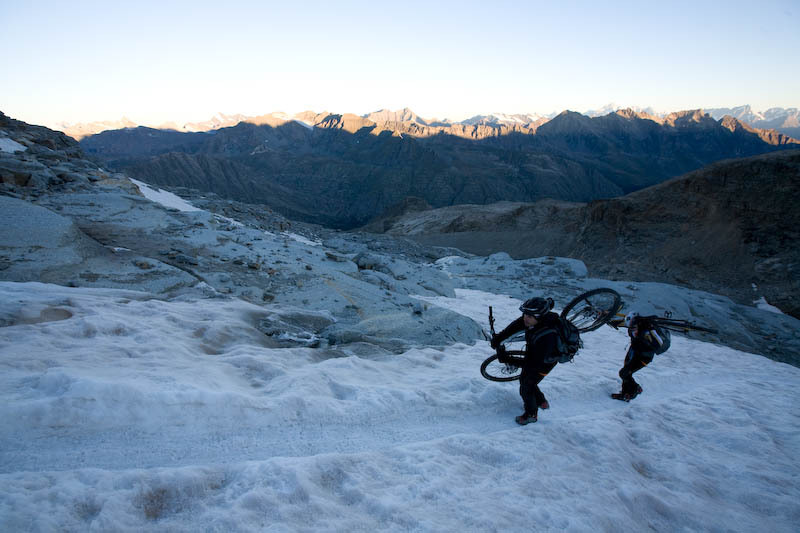 I turned back to my bike and on the top of it I looked down…the track was amazing, a complete mountain all for me. I mounted on my bike, put my feet on the pedals and released the brakes. Riding free, that’s the only way to describe my emotions, my feeling of that moment. The spikes of the tires had good grip on the ice and even on the most “vertical” part of the route I had a full control of the bike. 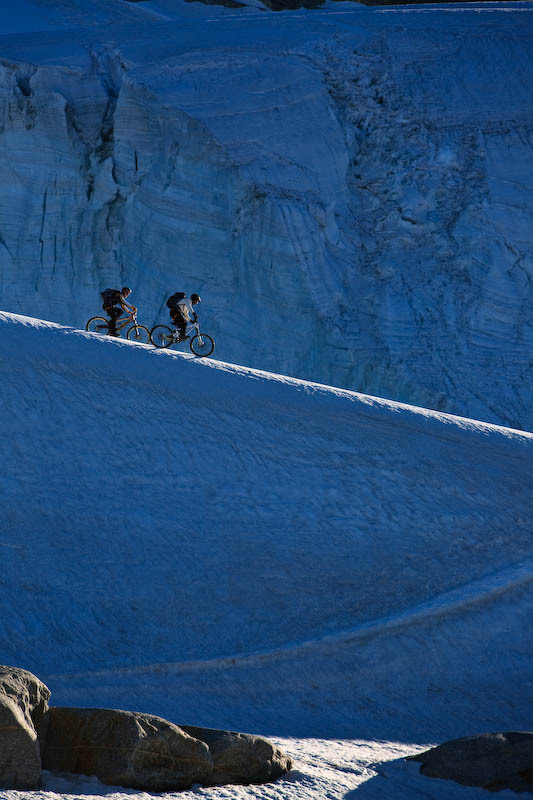 However, the glacier is a dangerous place, full of crevasses. So I had to look out for them and control the descent. A fall could have grave consequences. 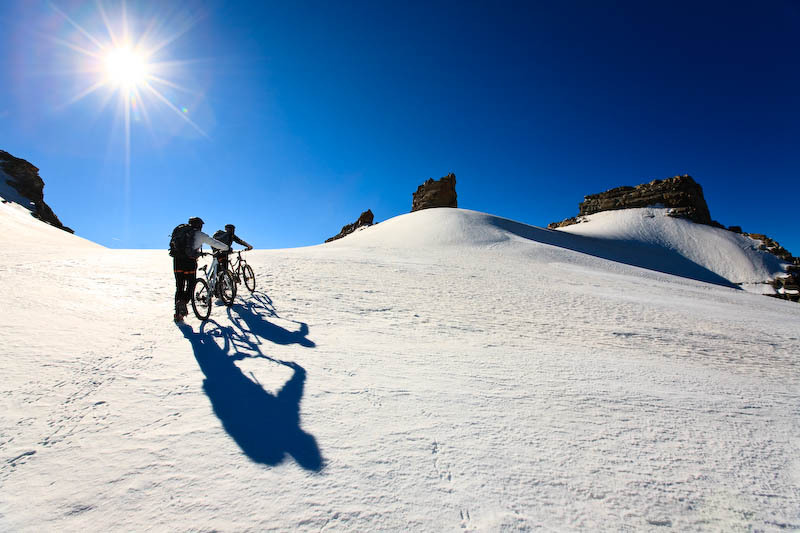 My friend was behind and sometimes in front of me until we were side by side, riding that mountain together, sharing all the feelings and all the emotions of the ride. Once we reached the rocky part of the route we had to change our tires. 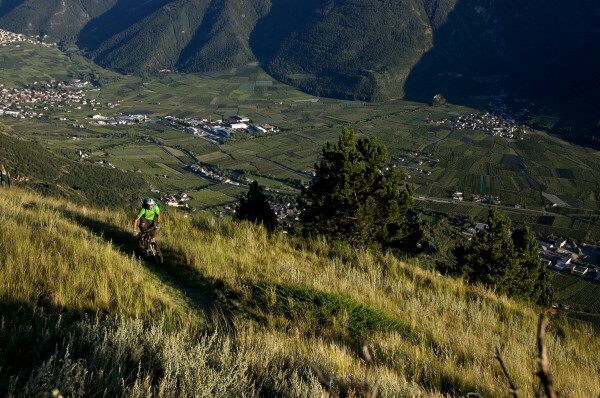 It took some minutes, so we could relax ourselves a bit before launching our bikes into the final part of the descent. 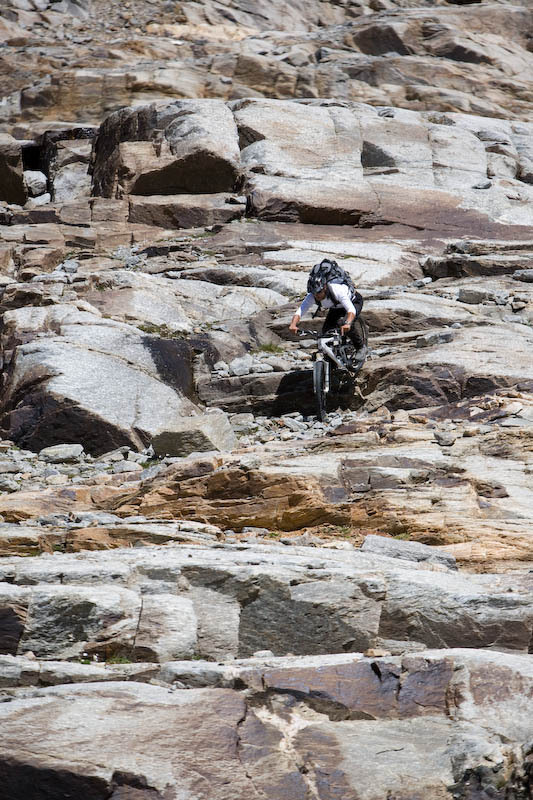 This part of the trail has been quite difficult because there was no track, so we had to ride the rocks trying to imagine the best way to go down. 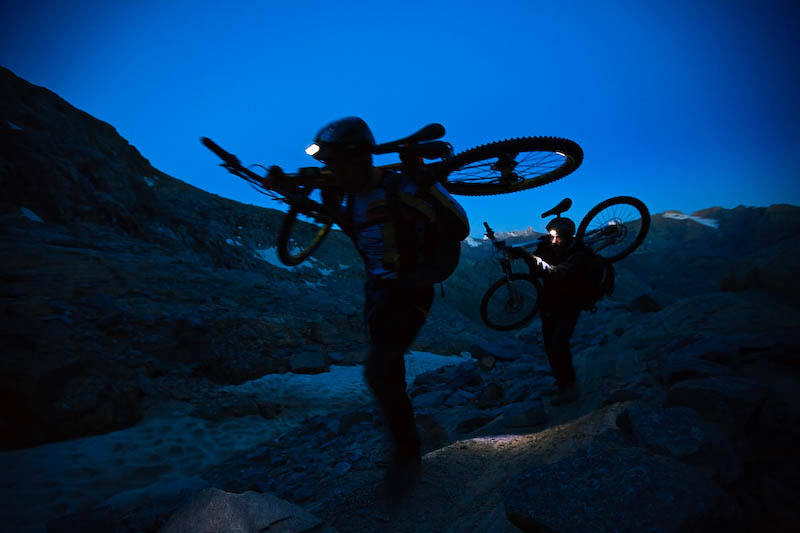 We used full suspension bikes and it helped us quite a lot to control the ride. We reached the hut in the morning, just few minutes to change our pants and shirts and we started the last part of the trip. 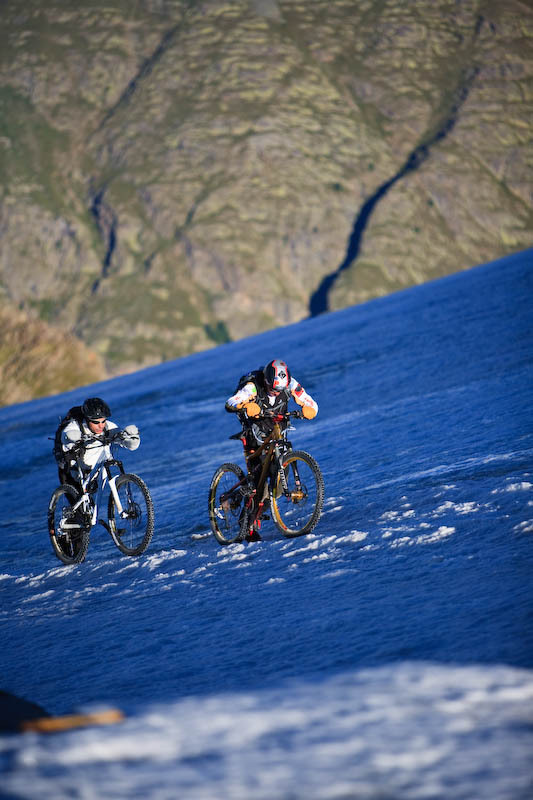 Epic riding, epic moments. 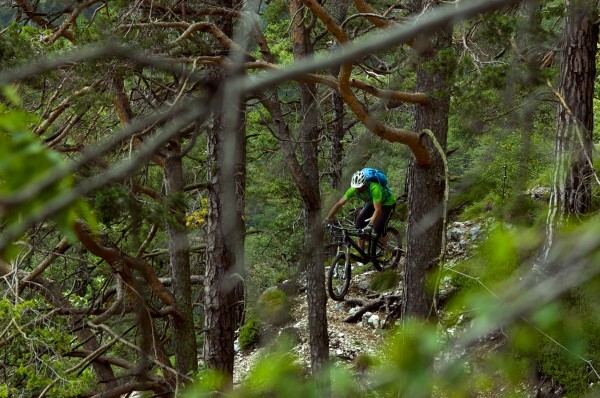 It was a real singletrack, fast and clean, many curves inside an amazing forest. We were really tired at the end of this dream but full of new memories and emotions. I’ve had the view of the top of the mountain coming out in my mind for many days and even now while I’m writing these words I can remember it as it was yesterday. But it is time to start dreaming once again and while I was looking at the sunrise I’ve noticed another peak, another project for the future. 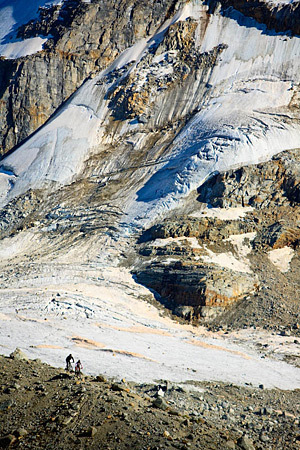 Monte Rosa, that will be my next dream. Alle Fotos unterliegen dem Copyright Marco De Giuseppes. Am Freitag den 18. November ist es wieder soweit. Die Biker-Hiker laden zum Saisonabschluss wieder ein zu ihrem traditionellen Bike Festl ein. Wer den Szene Treff mit Film- und Fotoprojektion nicht verpassen möchte, sollte sich ab 20 Uhr beim Hafen Innsbruck, Innrain 199 einfinden. 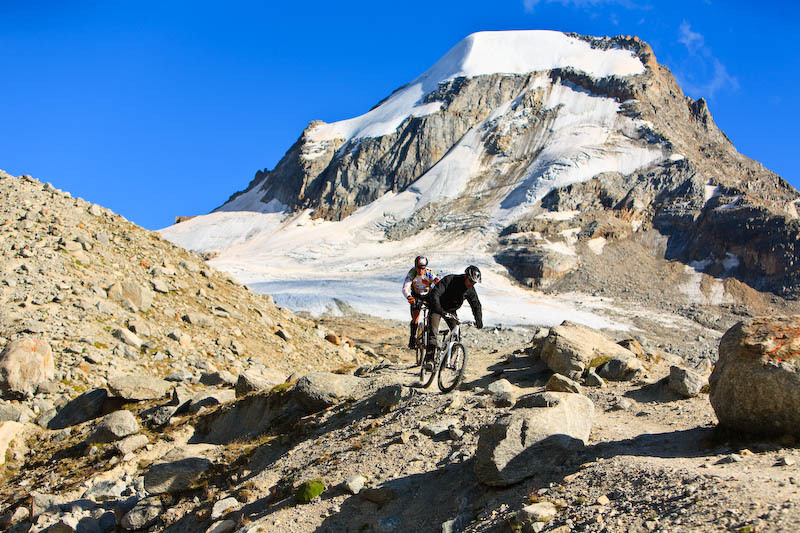 Um „Bikesteigen“ geht es im zweiten Beitrag der Bergsteigersendung: Hintergrund der Wortkreation ist die Beobachtung, dass die meisten Bergradler, also Mountainbiker, weit unterhalb der Gipfel ihr knieschonendes Bergab beginnen. Dass sich Gipfelglück und Fahrradwonnen nicht ausschließen, beweisen ein paar verwegene Pioniere abseits von Alm- und Forststraßen; wenn sie unterwegs sind, können sich Bergfreunde etwa im Kleinwalsertal darauf gefasst machen, dass selbst abgelegene Gipfelkreuze als Fahrradständer herhalten müssen. Die Sendung wird am 22.9.2011, 23.00 Uhr bei BR-alpha wiederholt und kann bis dahin auch in der Mediathek des BR (s. „Alle Sendungen/Bergauf-Bergab“) angeschaut werden. Mittlerweile ist die Reportage auch bei YouTube verfügbar (ab 00:38).